It’s a widely held view that older people are inclined to be technophobes, who don’t want to start learning how to use computers, but actually this view is not entirely true. 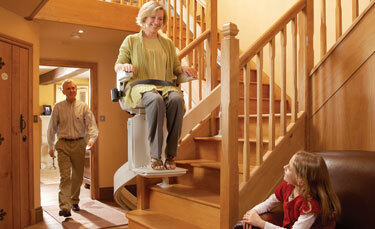 Many older people are realising just how much they could benefit from having a computer at home. They may still need a little help and support to get up and running with choosing and using a computer, but the rewards will be worth it. The computer needs to suit the person. For some a desktop computer might be the best option, as the mouse is often easier to use than that on a laptop, but a laptop or tablet offer a mobile option. Anyone who is familiar with typewriters might prefer a traditional keyboard, while touch screens might work well for others. Shop around to get the most suitable broadband package, depending on the intended usage. Everyone needs help with learning the basics. Younger people learn how to use computers at school, but older people won’t have had this opportunity. Older people who did not use a computer during their working life may have acquired little or no knowledge of how to use a computer. Friends or family may be able to get someone started and give them some training. Alternatively there are many beginners computer courses held at local adult education centres. Standing around in queues at checkouts and carrying heavy shopping is no pleasure particularly for older people with limited mobility. A computer gives people the option to order groceries and other shopping to be delivered to their door. Some of the big supermarket chains will even bring your shopping into your kitchen if you wish. The fastest growing sector on Facebook currently is people aged over 65. 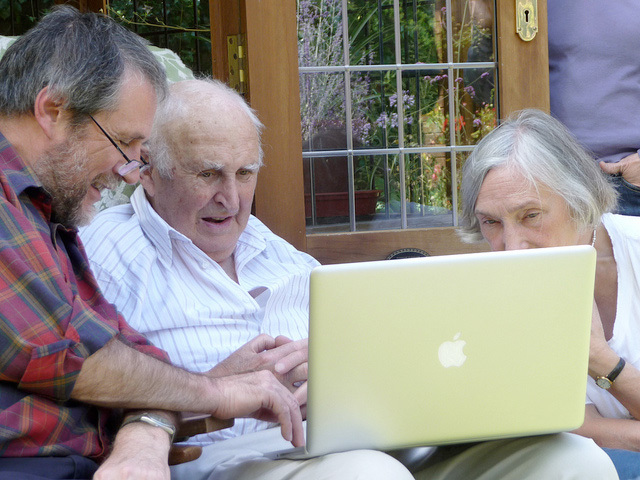 Email, Skype and photo sharing are all ideal ways to avoid isolation among older people. Even if family live a long distance away, an older relative can still feel involved in their lives with video calls and regular email exchange. Distance learning courses are a great way to keep the brain active. Some scientists are even starting to explore the benefits of some computer games in helping to stimulate the mind active for older people. Forget the old adage about old dogs and new tricks – when it comes to computers older people are showing that they are perfectly capable of becoming computer literate if they want to. A little support from family or friends is all that’s needed to get started. This entry was posted in Health and tagged benefits, computers, elderly, older, retirement. Bookmark the permalink.